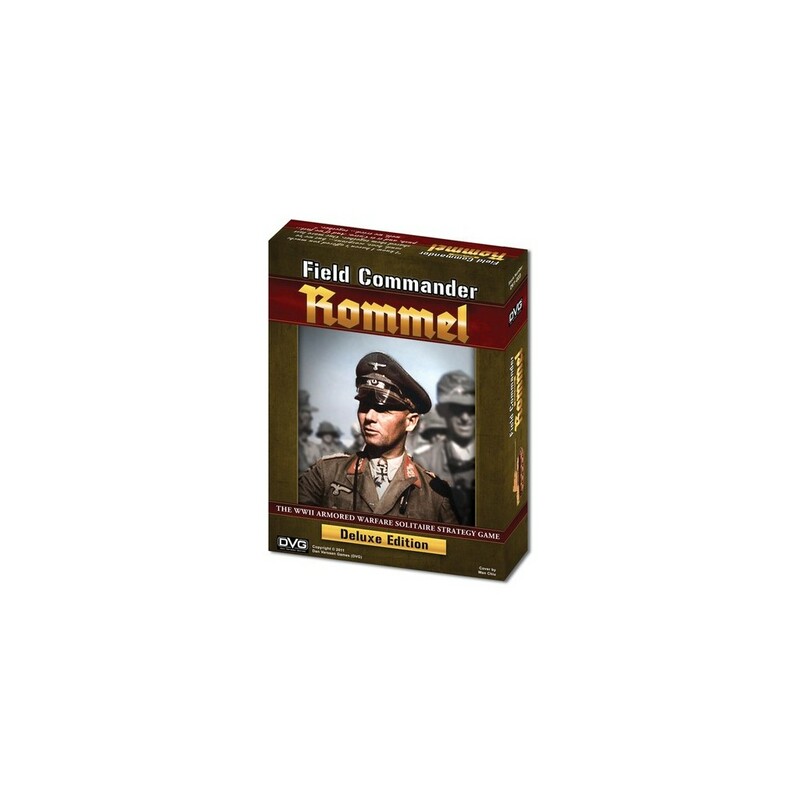 Rommel is the first game in the "Field Commander" solitaire series of wargames. You get to take command of General Erwin Rommel's forces in 3 exciting WWII campaigns: France 1940, North Africa 1941, and D-Day 1944. An easy to use game system manages the Allied movement, combat, and reinforcements. The counters are beautifully printed and die cut with full color on both sides. The game box is 9" x 12" x 1.5". Each of the 3 MOUNTED Campaign Map pages are 11" x 17" to provide both a large playing area, and fit nicely on an average table. As your units win battles, their stats will increase. Each campaign comes with a list of historical options. You can select any of these options to modify the campaign, and its difficulty level. This allows each campaign to be replayed many times and never be the same twice. The game comes with "Career" rules that allow you to link the campaigns. The outcome of one campaign affects your start-up conditions for the next campaign. très bon wargame solo, très prenant.